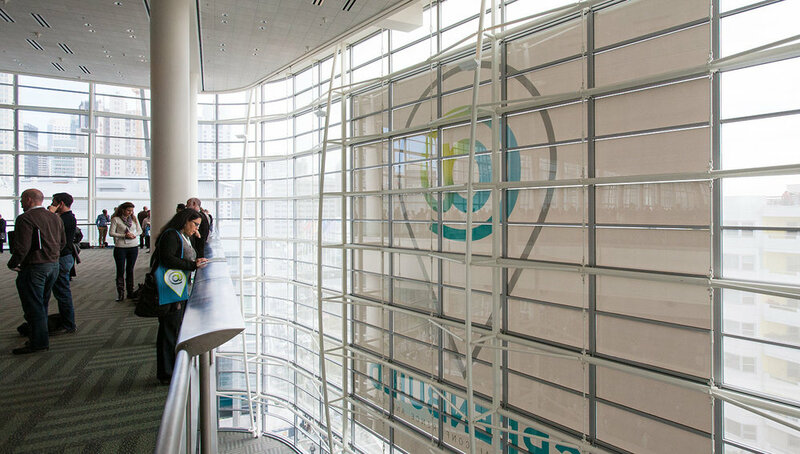 For 10 years, Post Typography’s design work has powered the world’s largest sustainable building event. 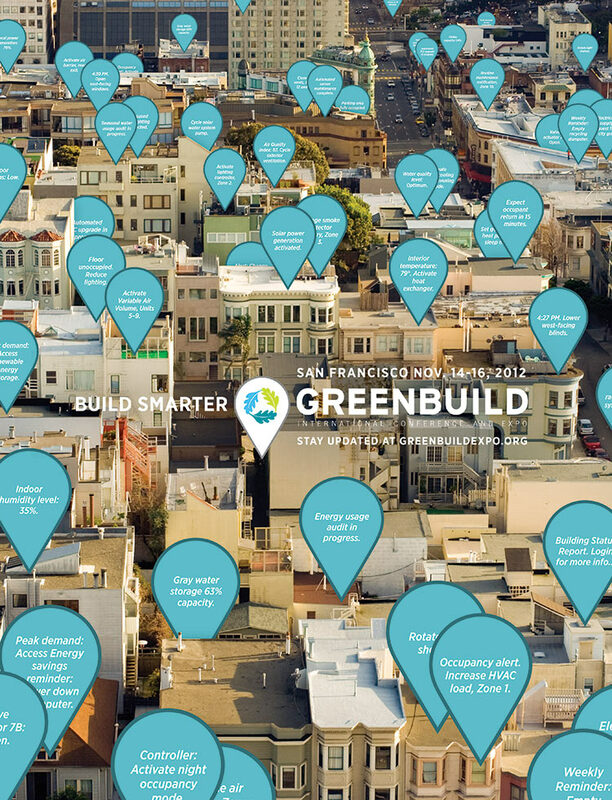 Greenbuild 2012 in San Francisco focused on new technologies driving smart buildings. 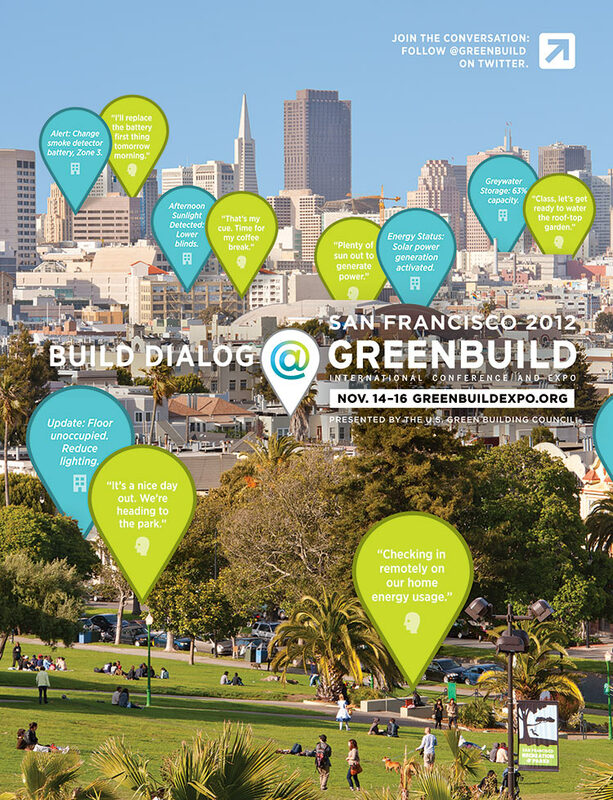 We played with USGBC’s theme — @Greenbuild — by illustrating “conversations” between buildings and their inhabitants and encouraging the audience to submit their own. Our text — Build Smarter, Build Dialog, and Build Momentum — pair with a series of gradually-wider photos of San Francisco. The placemarkers in the 2012 campaign represent location, technology, and the interaction between people and their environments. 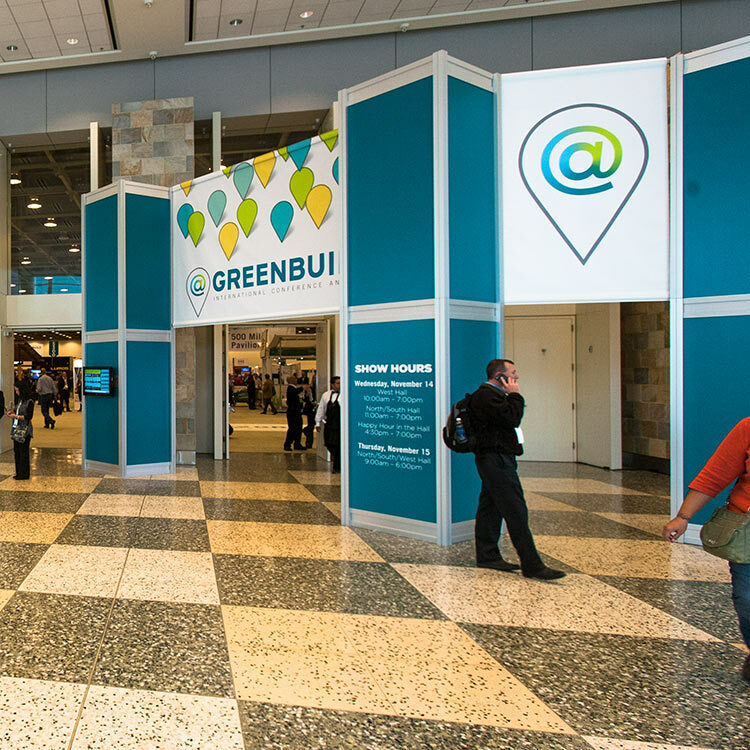 We carried this visual motif through signage at the San Francisco Convention Center, conference collateral, and merchandise.